Girls Girls Girls magazine, a new must have high-end fashion bible, launched this week. The magazine’s aim is to celebrate women and bring back glamour rather than the grunge image that has taken over in recent years. Founded by fashion photographer Claire Rothstein, the magazine has numerous shoot featured by an all women team. For the first issue, Aquabatix were asked to feature in a photo shoot at the iconic London Aquatics Centre alongside Vogue cover model Nimue. 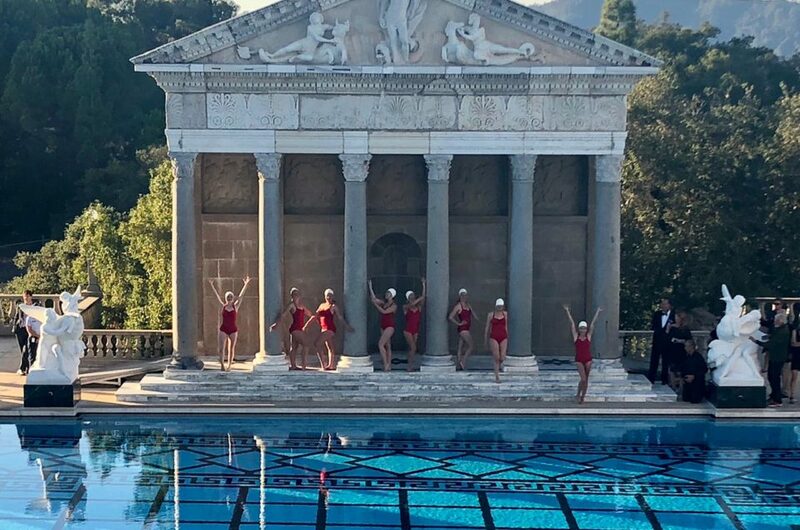 Photographer and magazine founder Claire Rothstein wanted to create a Helmut Newton style of shoot, with the Aquabatix synchronised swimmers dressed in simple black swimsuits and swim caps, bright red lips and posing casually around the model. Claire also wanted to capture the girls in the water, and took some images of them wearing statement Cristian Louboutin high heels whilst upside down with legs out of the water. 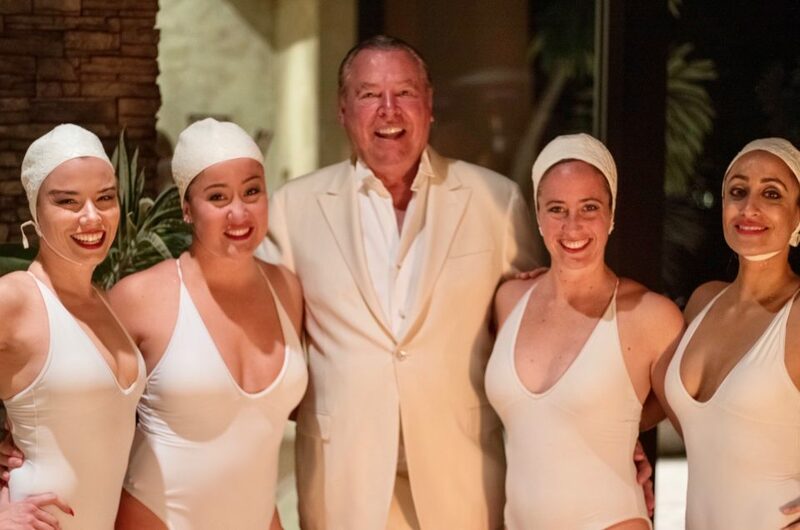 Aquabatix artists and former GB competitive synchronised swimmers, Imogen Smith, Millie Grinham, Danielle Cooper, Emma Critchley, Lara Hockin and Zoe James all appear in the magazine. Olympic medal winning diver Tom Daley also jumped in on the shoot whilst he was training at the pool that day! Other shoots in the magazine include models Jan De Villeneuve, Ajak Deng and Linda Helena and features locations such as LA, New York and London.